We are able to use a smoothing cleanser to remove impurities and makeup prior to applying fine acupuncture needles. 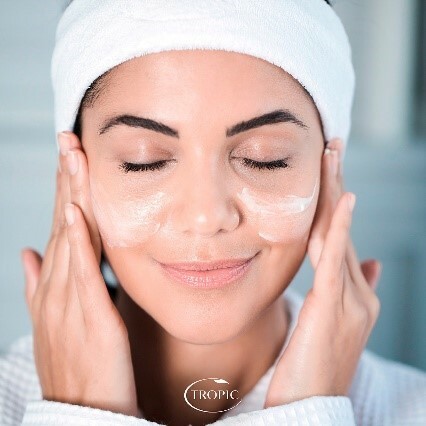 Then, after the treatment, we use a vitamin toner to cool the skin, rebalance the skin pH and refine pores, followed by a skin revive nourishing cream or serum, when the skin is primed to receive it and reap maximum benefits. While the needles are in place you can also benefit from a relaxing hand or foot massage, again using Tropic products. You will leave our clinic feeling refreshed and relaxed. Susie, and Total Care Physio, believe that looking good and feeling great shouldn’t be detrimental to your health or the planet. There is an independent app, Think Dirty Clean Skin App, which shows how clean products really are, and is worth checking to compare what you use now to an alternative brand. If you can’t find your usual product on there, then it’s worth wondering why? or you can order when you next come to the clinic. 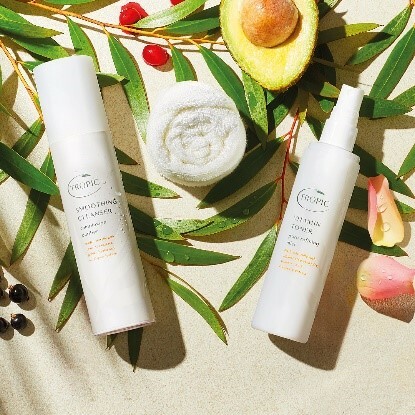 Tropic even offer a 30-day money back guarantee which gives you a chance to try the beautiful and effective products with confidence. As Ambassadors we are able to offer Tropic skincare facials and pamper parties. If you would like to try a free mini Tropic facial, with or without facial rejuvenation acupuncture then please call the clinic you would like to attend. Or perhaps you would like to host your own pampering party, invite your friends round for some girlie pampering, grab a bottle of your favourite something and enjoy the uplifting sensations of our award-winning natural beauty range. Everyone gets a chance to see and try the products, the hostess receives a free facial and 15% worth of sales in free products. Parties to be held at the hostess house. An evening in with the girls has never looked so beautiful!